Step One: Take an example of Detroit's Finest. 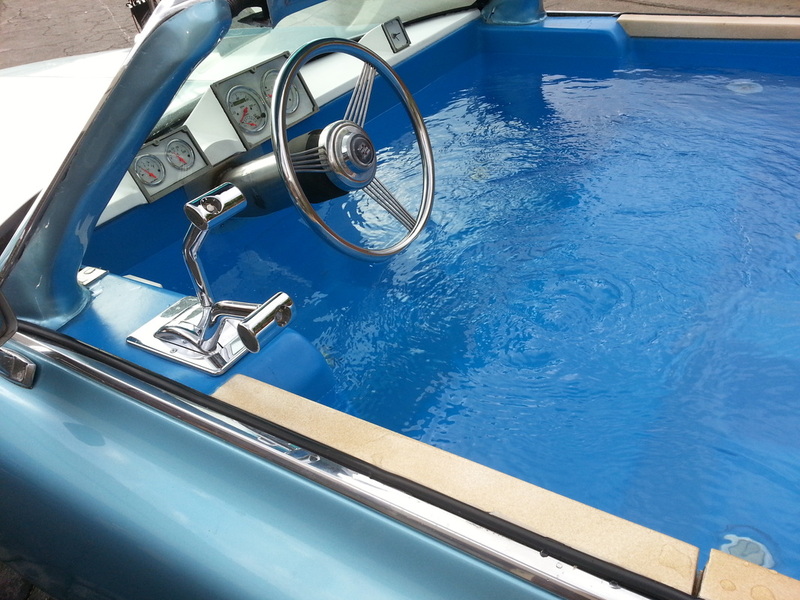 Step Two: Add controls so you can still drive while soaking in that soothing, hot water. Step Three: Put all the gear you'll need to make it work in the trunk. 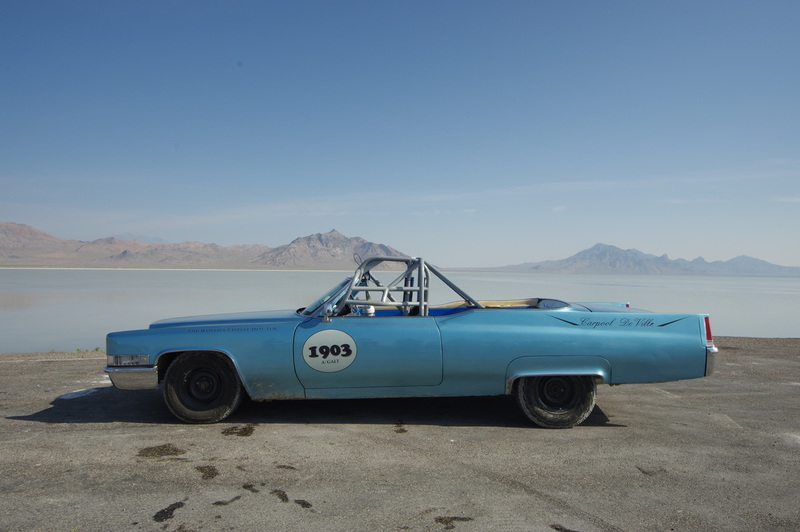 In August of 2014, we took the Carpool DeVille to the historic Bonneville Salt Flats in Utah to set the land speed record for the "World's Fastest Hot Tub". Due to historic flooding, the official race event - known as 'Speed Week' - was cancelled for the first time in years. Undaunted, we set our own course, and clocked the Carpool DeVille reaching a speed of 50 mph. 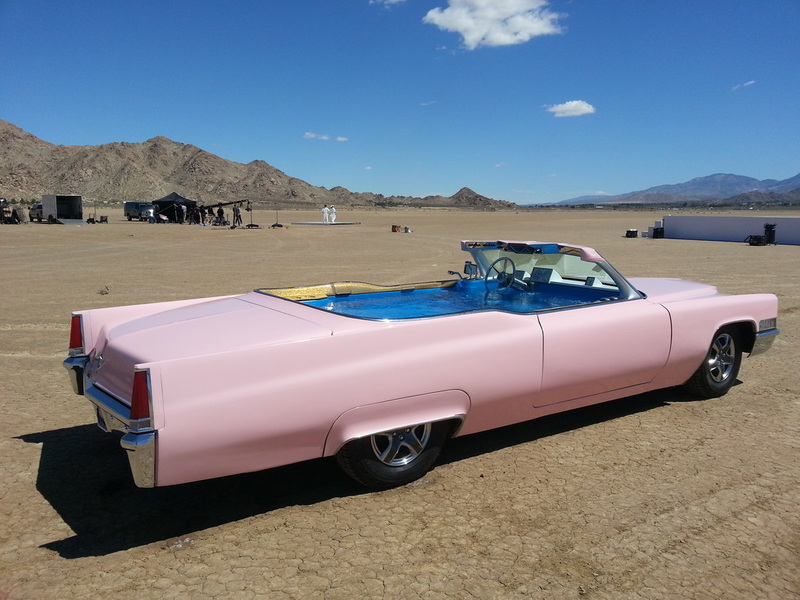 Official verification of this record attempt is still pending by the Guinness authorities, though they have since created a category called, 'Fastest Motorized Hot Tub' around the design of the Carpool DeVille. Seriously. 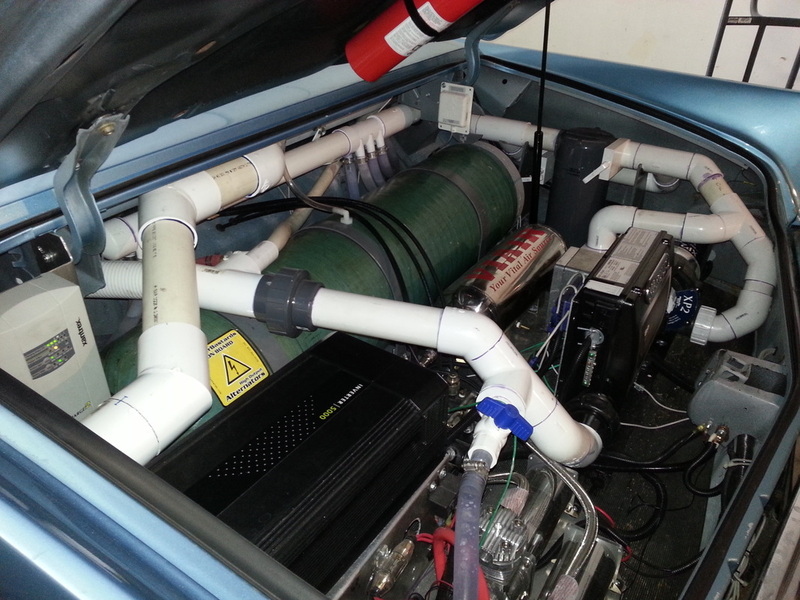 For a dandy report filed for CNN about our run, please check out Is This the World's Fastest Hot Tub?
? Or, Racing Car ?